One thing that we have here, that is seemingly local to Dayton is chocolate covered potato chips. 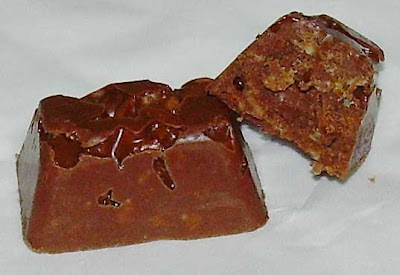 They are made by local chocolatier Esther Price, and made with Mike-Sells chips, a local chip brand. They are quite popular, though on the expensive side as Esther Price is held in high regard as gourmet chocolates, but I have never had them. A student once gave my husband a box of Potechi and they were very, very good. They were so much better than these strange things. If you're in the mood to be bad, I recommend you try the chocolate-covered chips! 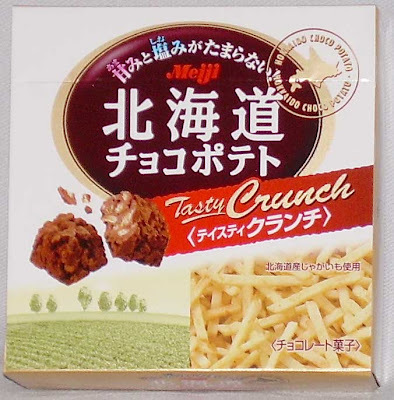 Have you tried the kaki no tane savoury snacks that are now coming covered in milk or white chocolate? I bought these (the white ones) recently for hubby and he loved them. I noticed that it has started to become a trend, however i wasn't familiar with fried chips in chocolate! Very interesting! I noticed that there are now candy bars which are chocolate covered potato chips. It's looking like a new fad at the moment.